We had recently been invited to attend a special night at Winter Wonderland Manchester. This came at a perfect time since I was actually browsing some places for Santa’s Grotto in Manchester. 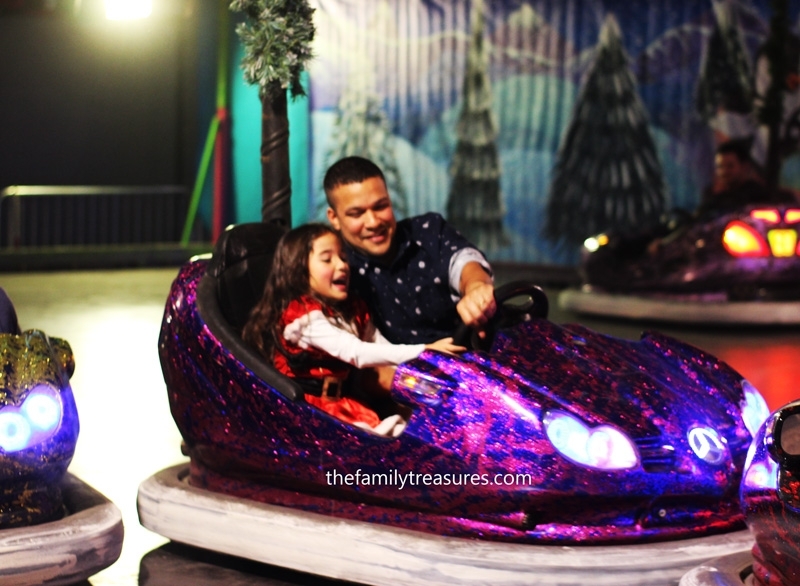 We had been at the intu Trafford Centre Santa’s grotto in the past and also to a really nice one in Bolton, but Winter Wonderland’s invitation worked out perfectly fine because we would not only enjoy visiting Santa but also the kids would have a blast there. I had read really good reviews about Winter Wonderland before so I was quite curious but at the same time, I wasn’t really sure what it was about. Our 6-year-old loved the idea of seeing Santa so she dressed up for the occasion. Our 2-year-old was just astonished probably wondering why he was awake and having so much fun that late in the day. The first impression when we got there was -ok! this is like an indoor fair! – Nice, because you’ve got the usual family attractions but you don’t get to freeze in the cold. But as the night unfolded and we went from one ride to the other, visiting Mr and Mrs Claus and watching all the available shows we were more like -wow! 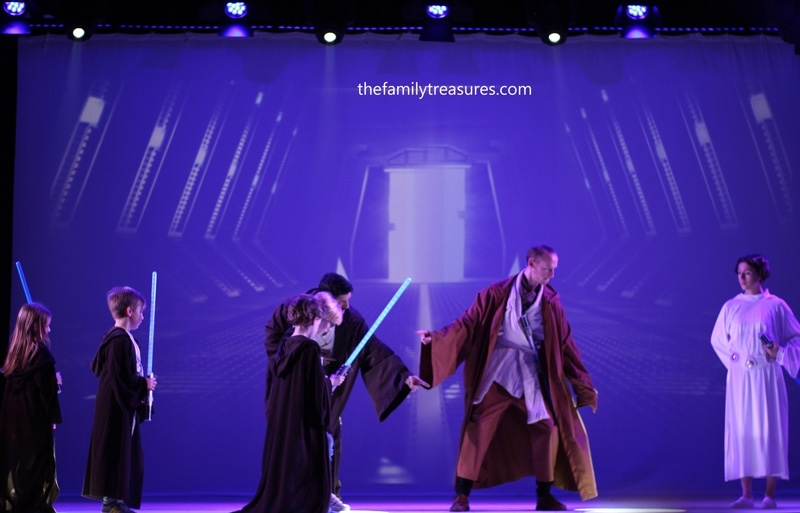 this is more than just a fair!- It really has been designed for the family to have a wonderful and fun time together. Our 6-year-old was the right height for almost all attractions. She is over 116 cm but less than 125 cm I think…Sorry! It’s been a while since we measured her but we know she is growing too fast! lol Our almost 2-year-old was ok for some of the rides but being his first time riding them he changed his mind more than once and wanted to get off. 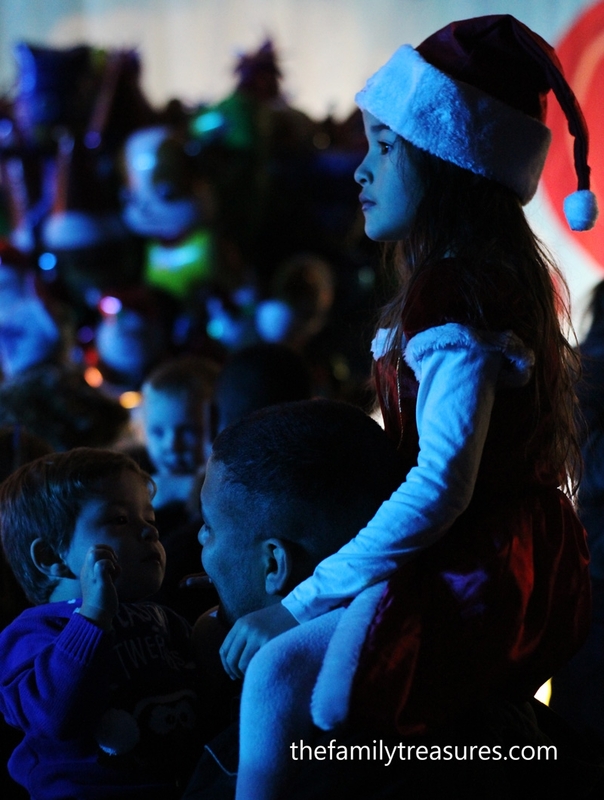 He enjoyed the lights, the reindeer and all the atmosphere, really, but you can tell why under 3’s go free. The shows were great! We watched the Training of a Jedi and The Rainbow. They were both quite amusing. I would say our girl was more into Star Wars but they both liked them quite a bit. Facilities were well signed and visible. You had toilets and baby changing area and also a place where you could leave your coats if you wanted. It was warm but we had the pushchair with us so we piled up all our coats on top of it. 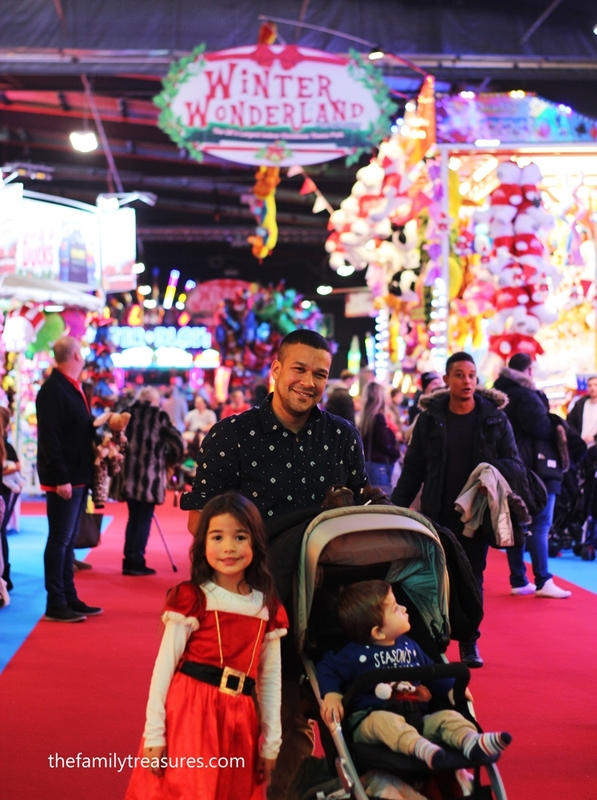 We will probably visit Winter Wonderland Manchester again in the future since we had a lovely family time. You can still get tickets, they’re around £20 per person. You can find all that info on their website. If you think about what you may spend on a Santa’s grotto I would say this is a good deal, where you have the fun included as well. **We were given tickets for the purpose of this review but opinions have been honest and our own. Previous Post Will ethnicity affect the marriage of Prince Harry and Meghan Markle?